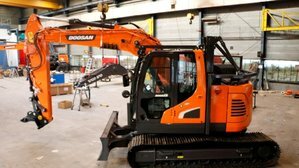 For the company BVBA M-TRAC sprl from the Zwalm-Belgium, BECO Modifications has adapted a Doosan DX140LCR-5. 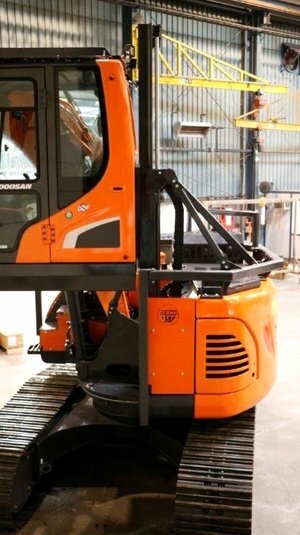 The customer’s wish was to prepare the machine for work in forestry. The cabin now has a vertical elevation with a working height of + 1200mm. A cabin protection has been mounted on the front and top of the cabin. 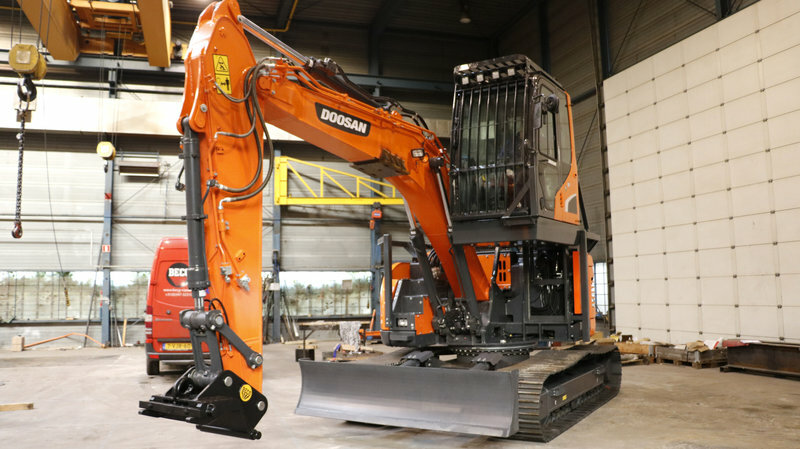 The rest of the machine has also been equipped with a protective frame in order to protect essential parts of the machine. A BECO hydraulic CW20 quick change with load hook is mounted. BECO wishes M-trac and its customer many safe and pleasant operating hours with this machine.